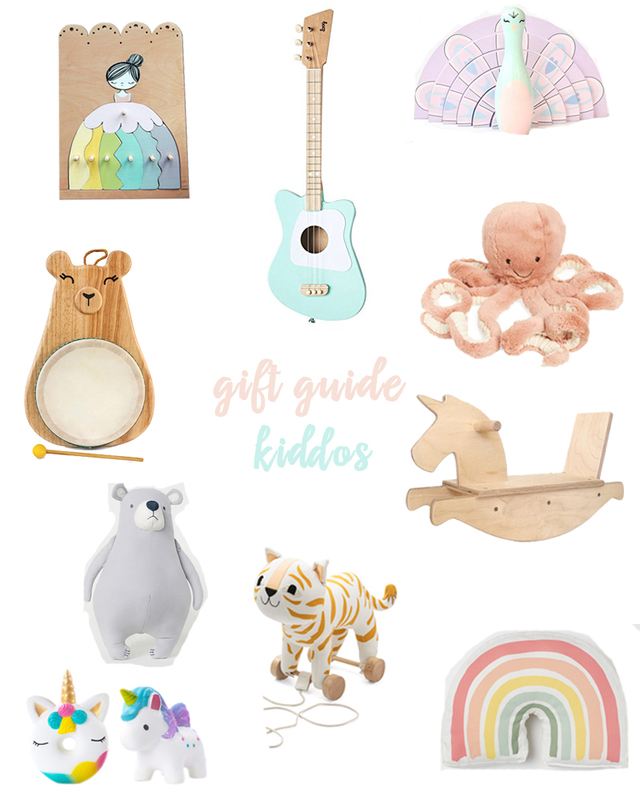 To be honest, I am in the land of LOL dolls and My Littlest Pet Shops but I like to get the girls (and Cole has no choice yet) little things that are a bit more design cute that they would still love to own. Wooden Girl Puzzle– adorable puzzle! Beginner guitar– if you follow my instagram stories, you know that Cole absolutely lovessss the guitar, we will show photos of him jamming and playing at 6 months old when he is a super star. Nick really wants to get him a beginner guitar now, but I think it is a bit too soon haha. Little bear drum– how cute is this for Mr. Cole!? Tiger pull toy– Cole has the fox pull toy version and I debated between the fox and tiger for way too long, it is v cute, a lot bigger than I expected and so I highly recommend for baby/toddler in your life! Squishies– anyone else’s kids obsessed with these? I am getting some to fill their stockings. Also, have you ever played with their squishies? I love them, great stress reliever, maybe I should get one for myself! If you do need some LOL dolls, Amazon has a couple on Cyber Monday week special- I picked up three of the girls gifts at the great price! Lol Dolls More Lol dolls on sale I did pick up some My Littlest Pet shops during the sale, but that sale price is gone now!